25 million people are needlessly blind. They can be permanently cured in 25 minutes, for as little as $25 each. 80 percent of the world’s 50 million cases of blindness could have been prevented or cured. The world is slowly becoming more blind despite the best efforts of the world’s eye care organizations at current funding levels. One World Sight Project (OWSP) wants to change this – permanently! The ultimate objective of OWSP is to cure blindness in every country of the world as an example of effective international cooperation. We are initially focusing our efforts on Africa and have been fortunate to have Stevie Wonder as a Special Advisor. Before he passed away, former South African President Nelson Mandela also gave his blessing and support! One World Sight Project supports the World Health Organization, VISION 2020 and the International Agency for the Prevention of Blindness (IAPB) in their efforts to reverse the blinding of the world. By focusing resources on the problem of preventable and curable blindness, the international ophthalmology community can act as the catalyst for fund raising events of unprecedented scope and effectiveness, bringing sight to millions of people. 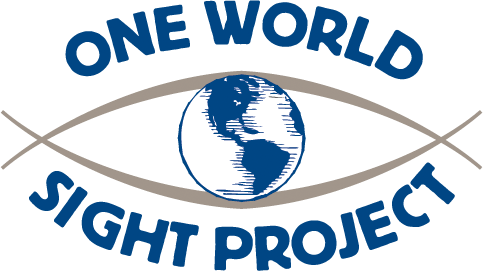 One World Sight Project, Inc. is a non-profit corporation and tax exempt public charity within the meaning of Sections 501(c)(3) and 509(a) of the Internal Revenue Code.